Every year at around about this time I get a creeping sense of conflict. I'm not one driven by patriotism. Not when it comes to F1 anyway, wherein nationalities have never mattered a single jot to me. But even I readily acknowledge that there is something a bit special about the British Grand Prix. The Grand Prix at Silverstone is unique. As a venue spread across a rather barren, windswept Northamptonshire plain it lacks the postcard scenery of Spa, the cooked intensity (in every sense) of Monza, certainly Monaco's glamour. But still it feels like it belongs right alongside those events mentioned as those that the sport can't do without, perhaps even belonging ahead of them. And this is for a number of reasons. Chief among these is that it is F1's home gig. Eight of the 11 F1 teams are based in Britain, and seven of them are based almost within a stone's throw of this track, as are a myriad of companies that supply them in this sport's equivalent of silicon valley. It's also in part because it was in Britain, and indeed at Silverstone, that it all started for F1 back in 1950. And the airfield track, despite inevitable changes in the meantime, retains much of its old character: rapid and challenging, with many long, fast and flowing turns, those that really challenge the drivers. That this weekend's Grand Prix is its fiftieth will only add to the conspicuous air of heritage that you breathe at this place. And such characteristics, and that they are increasingly rare ones, ensure its popularity among the drivers. And in an age wherein such core support has had its back turned on it by the F1 itinerary, to be replaced more and more by rounds that owe more to the host Government's desire to 'brand' the country and boost its tourism rather than to local motorsport passion, Silverstone's crowds remain both numerous and with an inimitable organic feel. Eddie Cheever, in the dark but recent days when the race looked to be under threat, summed it up as: 'not having a British Grand Prix is like the Pope not going to the Vatican'. 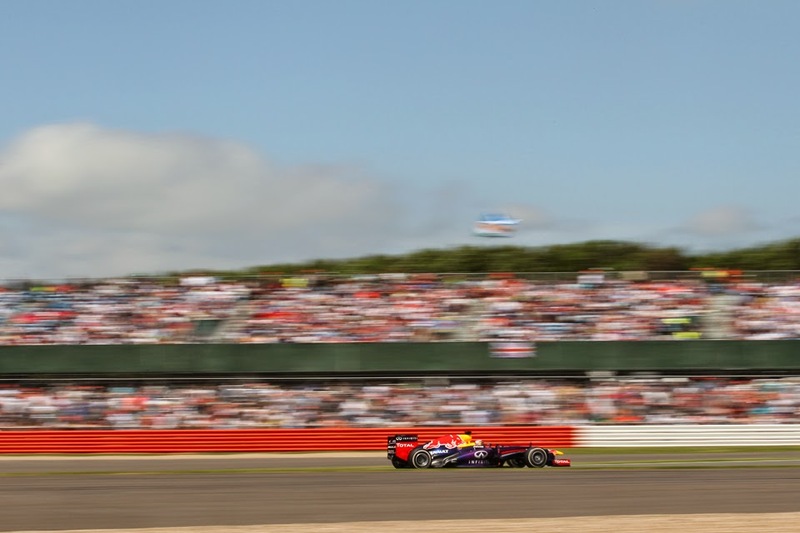 Thankfully the absurd threat to the race's future has now receded, the contract to keep the race at Silverstone all the way to 2027 is in place, and in recent years the venue has undergone its most extensive revision since its early days. A significant detour has been added and in 2011 the start line was moved to between Club and Abbey, in deference to the new 'wing' pit and paddock complex there. While the move gave the track a strange, out of context feel, almost like the paddock's been picked up and moved away from where everyone else is (as if to underline this there even is a shuttle bus to cart the paddock folk back and forth from the other side of the track all weekend) it did mean that no longer can Bernie claim that Silverstone is the sport's straggler facility. Long, fast corners will mean a very different challenge from those of the last few stop-offs of Monaco, Canada and Austria. And unlike the last two Silvestone is not really a point and squirt sort of layout on which the Mercedes-powered machines can be counted upon to make hay. The most pressing question this weekend is to answer is whether the new-found closeness of the rest to the Mercedes works team on show in Austria was peculiar, perhaps related to track characteristics combined with the silver cars compromising themselves in various ways, or is instead more the shape of things to come. Niki Lauda has suggested the latter is closer to the mark, but that may be born simply of healthy paranoia (and let's not forget that just two races ago the Mercedes were on another stratosphere before technical maladies struck). Whatever is the case though it will be a major surprise if the Silver Arrows do not hit the mark at the front of the pack yet again this time. 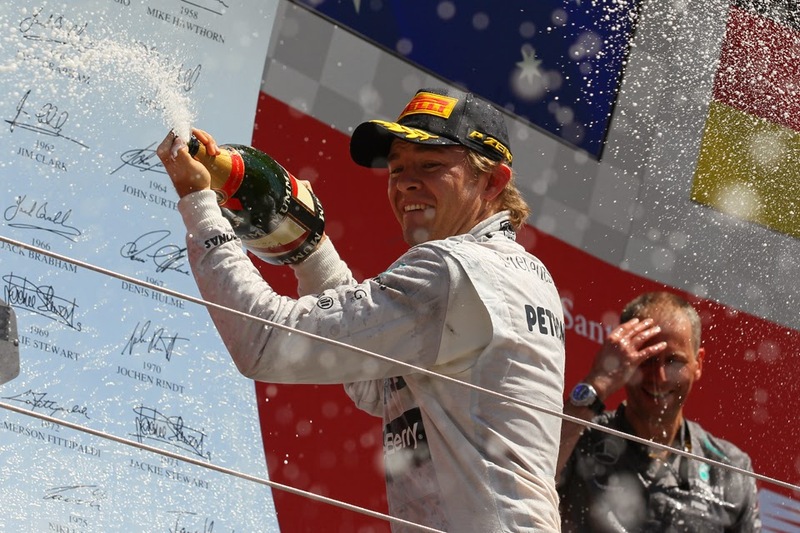 The Mercedes also was on top at Silverstone last year; Nico Rosberg did win, and Lewis Hamilton almost certainly would have won but for an early puncture, then his recovery drive to fourth place was something to behold. As ever predicting which of the two is to emerge atop this time isn't easy, but the direction of travel in the drivers' standings has very much been with Nico in recent weeks, resulting in a 29 point advantage over his stable mate. Even over and above the considerations of getting his first home victory since 2008 Lewis will be particularly determined to prevail this time. There was a time that Silverstone usually meant happy days for Red Bull, and indeed the Milton Keynes squad has a strong record here, having won in three of the last five visits (though two of those wins were for the now-retired Mark Webber) and finishing second in the other two. This still should hold to some extent even in the 2014 campaign, the Bulls will likely be mighty through the long fast corners, which should be enough to get it ahead of the Merc customers, perhaps even to be a minor irritant to the Merc works cars. Beating them will likely be a step too far however. While for most of the F1 circus Silverstone is the home fixture, for Ferrari more than most it's the away day, and therefore the event is one that the team takes particular pleasure in triumphing in. As has been so at most venues this year the Scuderia's ambitions this weekend will be modest however, but the Silverstone track's characteristics should get it further up the order, plus the upgrades on show in the past couple of races have looked unusually promising by Ferrari's standards. Other non-Merc runners, such as Lotus and Toro Rosso, should also be a bit stronger this weekend. But while the Silverstone meeting is popular among most of us the F1 engineer doesn't necessarily concur with that view. This is because it's a track hard to set a car up for, not helped by it having the sort of layout not seen much these days and further it is one that can show up an underperforming car rather ruthlessly. The surface is a bit unusual plus varying track temperatures can give a bum steer on tyre behaviour. The cross-winds can unsettle cars, and then there is the added variable of the weather. As anyone familiar with the British summer could tell you anything from hot and sunny to cold and wet - sometimes on the same day and perhaps even in the same session - cannot be discounted. The rain can also disrupt practice running and lose valuable fine-tuning time. As a result set-ups and race strategies across the grid sometimes have a rather wandering, madcap quality about them. 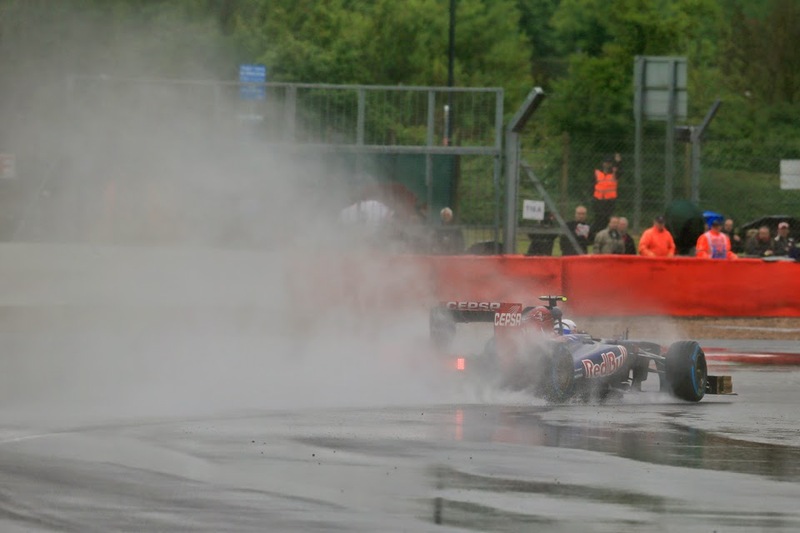 Rain is forecast this weekend too, with a particularly strong chance of it disrupting FP3 and maybe qualifying too. As we saw rather luridly at the Silverstone race last season the race can be tough on tyres also with the track's abundance of high lateral load corners, especially so if the temperature picks up. Pirelli has brought the same compounds as 12 months ago, the medium and hard, which also were on show at Malaysia and Spain this campaign. Given the considerations above you won't be surprised to hear that these are as conservative as Pirelli gets. But short of an unlikely repeat of the rather extreme occurrences of last year's visit, little of this weekend should dampen the feel good factor that the sport gets when at Silverstone. Not even when it's raining.